Simple to use; PC and/or extra hardware not needed here. 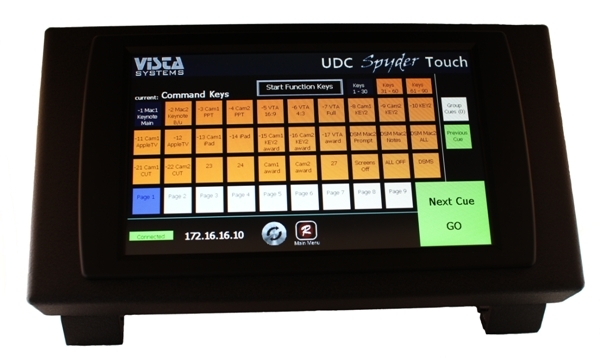 UDC Spyder Touch is a stand-a-lone dedicated Christie Digital Systems Spyder X20 touch screen controller that has a 10 inch screen. 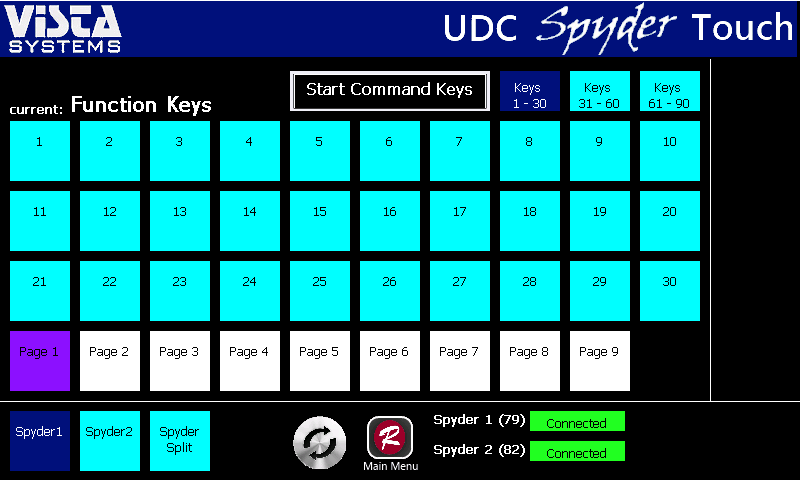 It Reads Command Keys and Function Keys from a connected Spyder and Spyder X20 and auto-populates the buttons on the touch screen accordingly. 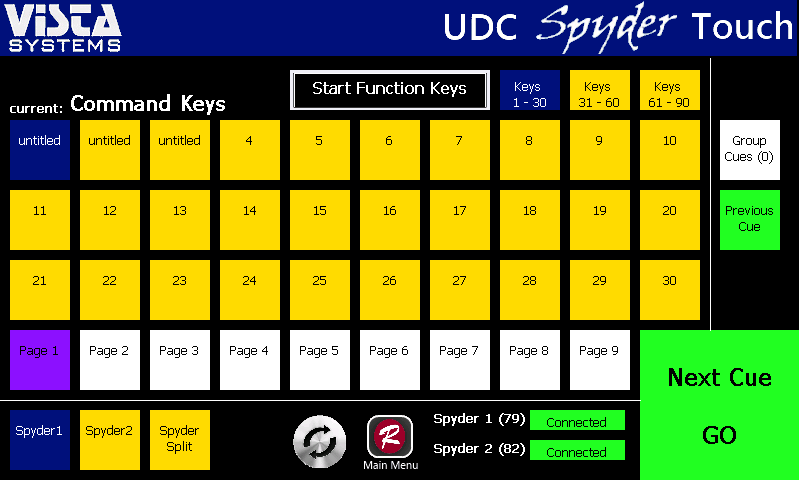 Communicates directly with the Spyder. No PC or extra hardware needed. For show control of other equipment like Barco E2 and Analog Way processors visit our Event Control Station Page. © 2019 HRS Control. High Resolution Systems, LLC. All Rights Reserved.